The, Rejuvapen™ uses 9 precisely spaced micro needles that create invisible perforations into the skin. By ‘damaging’ the skin in a controlled way we activate the skin’s natural repair function! Not only does this encourage the skin to rejuvenate itself but also absorbs the active peptides complex that we add while the skin is open! What does the Rejuvapen™ treat? Unlike other Medical Micro Needling devices the Rejuvapen™ can be localised to the areas needed. This means we can focus more on areas such as scars or stagnant lines that need more of a boost! The Rejuvapen™ also allows us to controlled the depth of the needle used for some areas of the face that may need more or less. How many sessions of the Rejuvapen™ Treatment do I need? As the Rejuvapen™ can be used on many areas of the body , the purpose of your treatments will affect how many sessions you need. After just one session you may notice healthier looking skin! How Much is a Rejuvapen™ Treatment? With all multiple sessions bought you will receive your aftercare kit FREE. For single sessions this must be purchased separately. For Acne Scarring or Scar removal a minimum of 5 sessions is needed. For other concerns such as body or hands a FREE consultation is required to determine how many sessions will be needed. Am I suitable for Rejuvapen™ Microneedling Treatment? A consultation will be needed before the treatment to ensure that you are suitable. After your treatment is is essential to stay out of the sun and wear a high SPF. The redness is typically gone in 48 hours and can be covered with make up the following day. 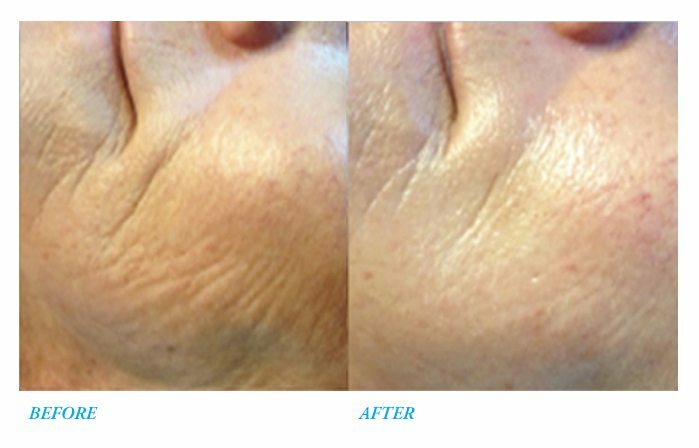 Interested in the Rejuvapen™ Microneedling Treatment?